The guide is extremely long and heavy but if you are looking for a web host for the first time it should be a good help. Selecting a web host an important – and at times, daunting – task. Beyond finding which web hosts are out there, it’s a matter of digging through different plans, comparing inclusions, and checking customer reviews. In short, asking the right questions. 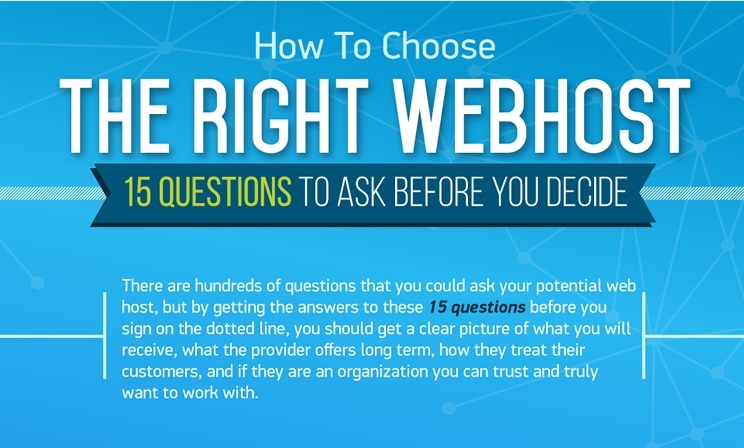 By getting the answers to these 15 questions in the following infographic, you should get a clear picture of what you need, you will receive, what the provider offers long term, how they treat their customers, and if they are an organization you can trust and truly want to work with.